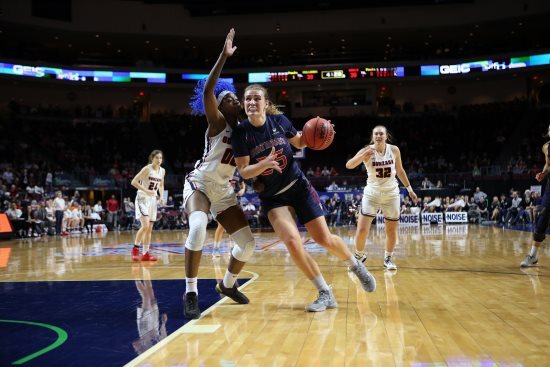 Completing the 2018-19 season, the Saint Mary's women's basketball team extended a streak that most teams would be envious of. The Gaels won 20 games for the eighth straight season and played in the National Invitational Tournament for the 10th straight year. 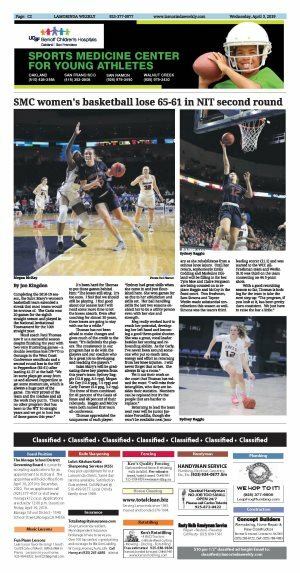 Head coach Paul Thomas saw it as a successful season despite finishing the year with two very frustrating games - a double overtime loss (78-77) to Gonzaga in the West Coast Conference semifinals and a second round loss in the NIT to Pepperdine (65-61) after leading 41-27 at the half: "We let some plays get away from us and allowed Pepperdine to get some momentum, which is always a huge part of the game. I'm very proud of the team and the coaches and all the work they put in. There is no other program that has been to the NIT 10 straight years and we got to host two of those games this year." It's been hard for Thomas to put those games behind him: "The losses still sting. It's too soon. I feel that we should still be playing. I feel good about our season but I will need some more time to let the losses absorb. Even after coaching for almost 30 years, these losses are going to stay with me for a while." Thomas has not been afraid to make changes and gives much of the credit to the team: "It's definitely the players. The consistency in our program has to do with the players and our coaches who do a great job in developing and teaching the players." 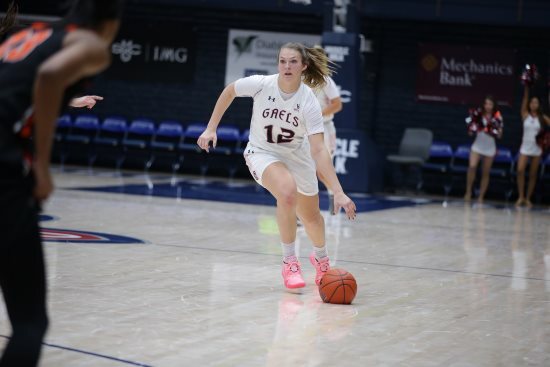 Saint Mary's will be graduating three key players from this year's team: Sydney Raggio (12.8 ppg, 8.5 rpg), Megan Mc Coy (12.6 ppg, 7.5 rpg) and Carly Turner (6.0 ppg, 3.2 rpg). The three of them combined for 41 percent of the Gaels offense and 46 percent of their rebounds. Raggio and McCoy were both named first team all-conference. Thomas appreciated the uniqueness of each player: "Sydney had great skills when she came in and just flourished here. She won games for us due to her athleticism and skills set. Her ball handling skills the last two seasons enabled her to be a utility person even with her size and strength. Meg really worked hard to reach her potential, developing her left hand and becoming a good three-point shooter. She was a great, vocal leader besides her scoring and rebounding ability. As for Carly, I've never been around someone who put so much time, energy and effort in returning from her knee injuries. I will never forget that or her. She always lit up a room." Yet it not their work on the court that Thomas has valued the most: "I will miss their intangibles, who they are besides their statistics. Numbers can be replaced but it's the people that are harder to replace." Returning to lead the team next year will be junior Jasmine Forcadilla, though she won't be available next January as she rehabilitates from a serious knee injury. Until her return, sophomores Emily Codding and Madeline Holland will be filling in for her. Tyra Moe and Claire Ferguson are being counted on to replace Raggio and McCoy in the front court. Two freshmen, Sam Simons and Taycee Wedin made substantial contributions this season as well. 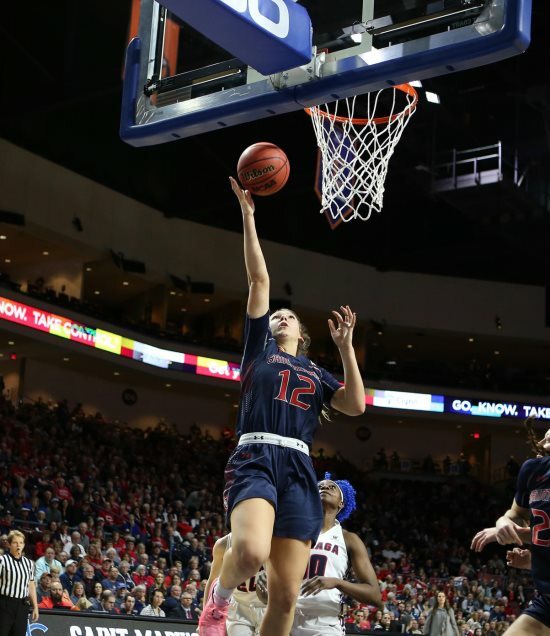 Simons was the team's third leading scorer (11.1) and was named to the WCC All-Freshman team and Wedin (6.3) was third on the team connecting on 44 3-point shots. With a good recruiting season so far, Thomas is looking for the team to take the next step up: "The program, if you look at it, has been pretty darn consistent. We just have to raise the bar a little."